Kirby: Christmas. Whatever it takes. Christmas. Ugh. We have entered into the annual Great Darkness, the misery of miseries, that terrible abomination of making sure those you love get exactly what they want. I don’t mean Christmas Day itself. That’s actually a beautiful moment. The happiest day of the year for me is — well, OK, my wedding anniversary. But a close second is watching my grandchildren transform into a group of ravenous Huns as they charge the pile of loot under the tree. The ugly part of Christmas, the time when I’m sorely tempted to fall to my knees and give thanks for the mere possibility of nuclear and biological warfare — is the shopping part. If there is a Santa — and, for you believers, I’m not saying that there isn’t — he’s changed through the years, becoming increasingly mercenary. With apologies to “‘Twas the Night Before Christmas,” Santa’s proverbial nocturnal visit has changed for me during my transition from wide-eyed boy to the couch grouch of today. 'Now, Amazon! Now, Target! Now, Visa, and Fed Ex! To the top of the porch! To the top of the wall! Now crash away! Smash away! Thrash away all!" It wasn’t always like this. I went from Christmas zealot to yuletide yawner and eventually a holiday hater over the course of a misspent life. But if you have kids and grandkids, there’s no speaking ill of Christmas. I had just gotten to the point where I was willing to sleep until noon Christmas morning, then I got married, and for some reason my wife started having children. Sometime around 1983, Christmas was no longer a sleep-in day. My totally incomprehensible but much loved children would crash into the room at 4 a.m. and jump up and down on the bed until we arose and went out to the celebration that had us teetering on the edge of bankruptcy. Note: One year our dog, who had no idea what the hell was going on but just had to get in on the excitement, dragged me out of bed by a leg. Christmas, of course, always changes, once I’m in the room and the kids are tearing through the gifts — or at least the envelopes containing the gift cards they asked Santa for. When I was 9, I BEGGED Santa to bring me the perfect gift. I bounded into his lap at Woolworths and yelled it to his face. Know what I got that Christmas? A plastic bazooka that shot small rubber balls an “incredible two feet!” It was an insult. I’d had serious doubts about the veracity of Santa before then. But in that disappointing moment, I became a fire-breathing a-Santa-ist. “Ho-ho-ho!” was an incredible lie intended to teach impressionable children the pointlessness of hope, faith, prayer and behaving themselves. Eventually, I had kids of my own, and it became my mission to make their Christmases perfect. If they didn’t get weak in the knees when they walked into the front room and saw the spread, I was a failure. Oh, I hated the process of getting my mob what they wanted for Christmas back then, but it was my job. Fortunately, it’s easier now. And a bit disappointing. Gift cards? Somewhere along the line Santa got lazy. Or maybe his reindeer are dead. There’s a cheery thought. It’ll help me smile while I watch my grandkids open their envelopes. 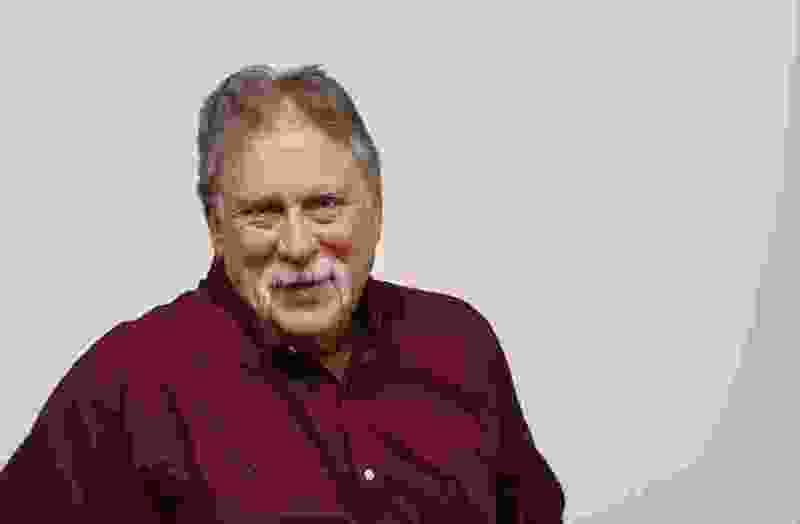 Robert Kirby is a humor columnist for The Salt Lake Tribune.